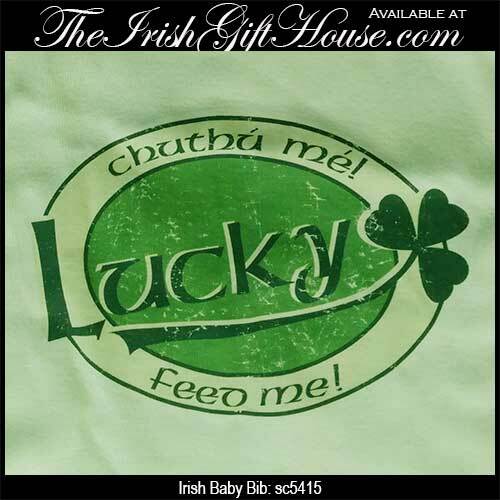 This Irish baby bib features a lucky shamrock motif along with a Gaelic message. This Irish baby bib says Chuthú Mé! which is Feed Me! in Gaelic. 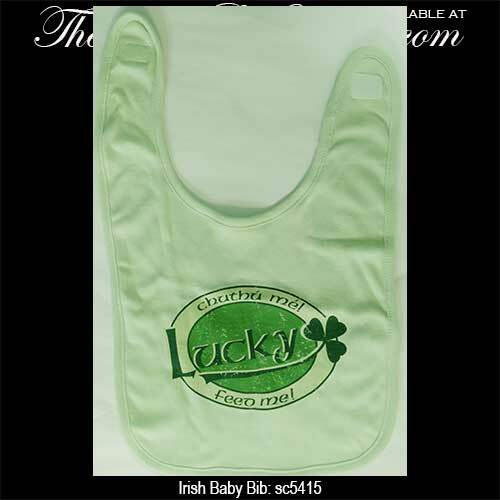 This Irish baby bib features a lucky shamrock motif along with a Gaelic message. The mint green Irish bib is enhanced with a Velcro closure along with super soft ring spun cotton.